Posted byRob Farrow	 October 1, 2012 1 Comment on Scoop.It Activity! 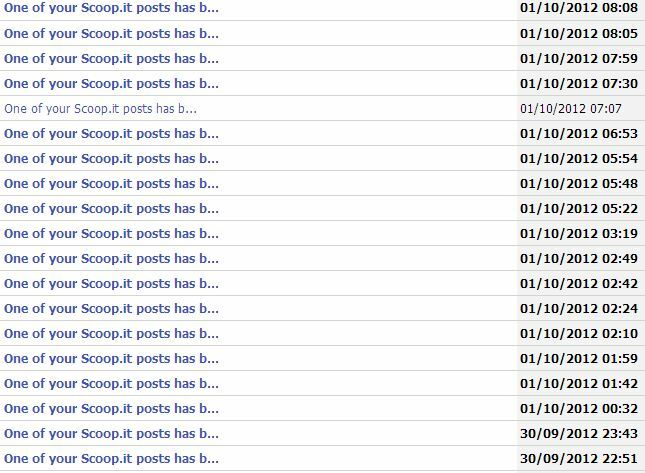 I have noticed recently that Scoop.it is often above Twitter in links into my blog. I have surmised that is because things get more readily lost in the noise on Twitter. Scoop.it has supplanted Delicious as my social bookmaker of choice but I am still using Paper.li for curation because I like the fact it does it for me automatically when I have no time or inclination to.